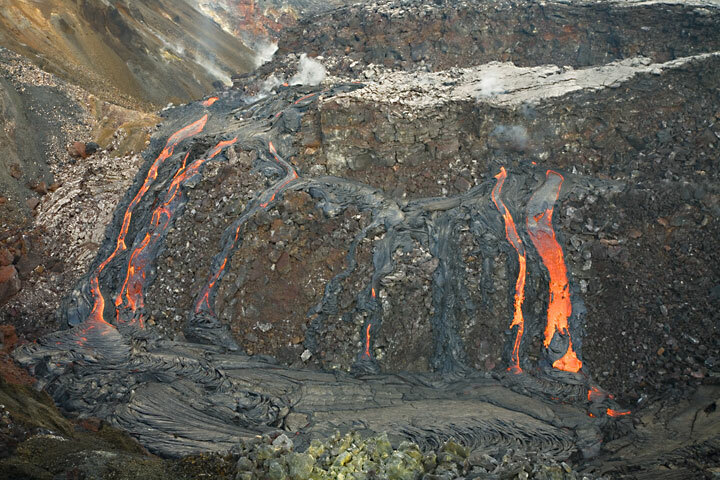 A dike cuts through the eastern wall of the Puka Nui pit crater; on the surface, 4 individual vents are visible, erupting lava flows and violent spatter fountains from exploding gas bubbles. 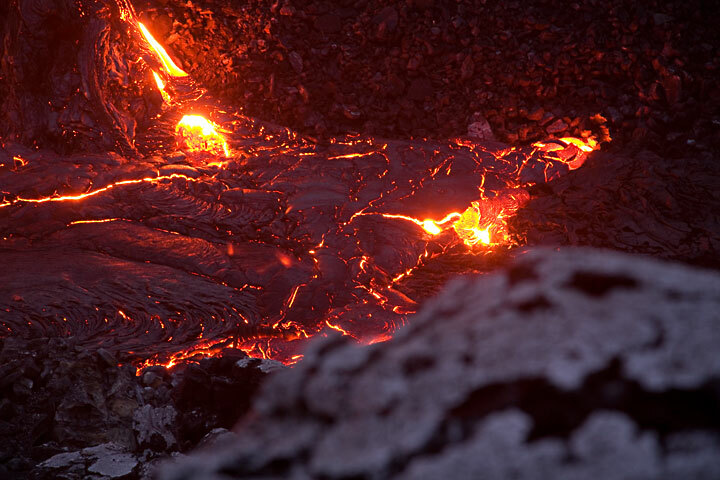 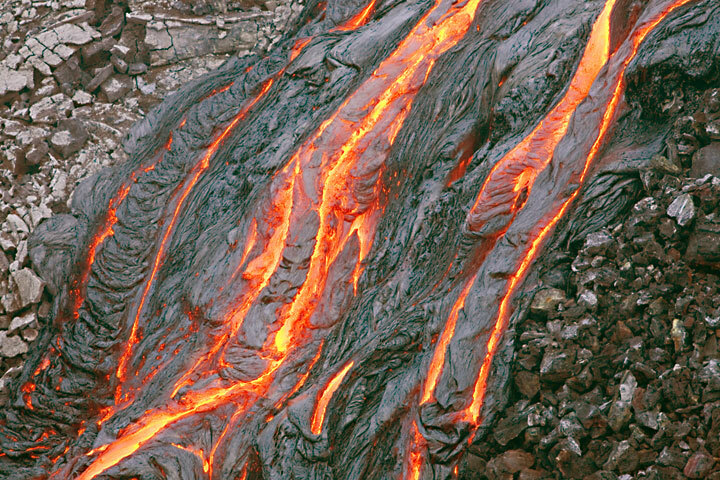 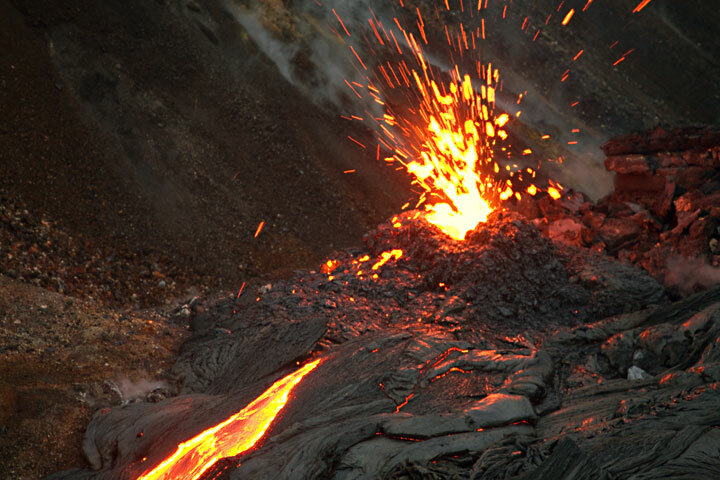 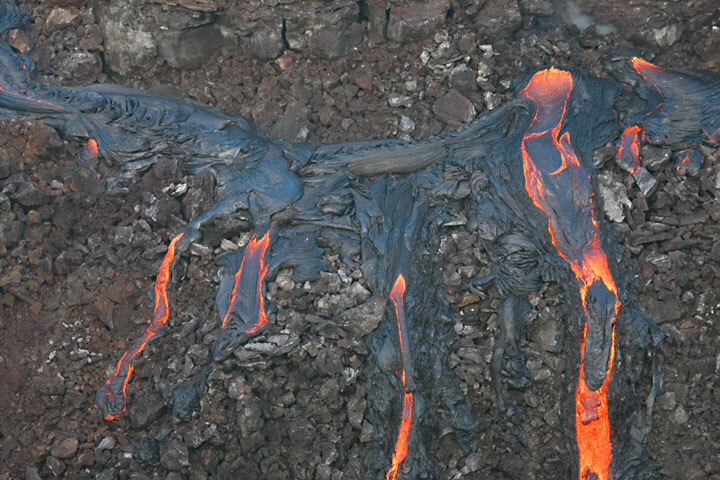 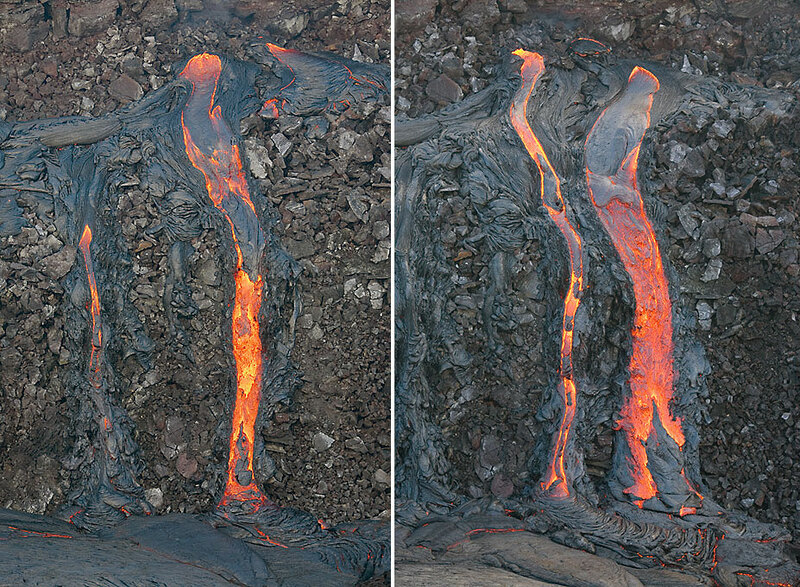 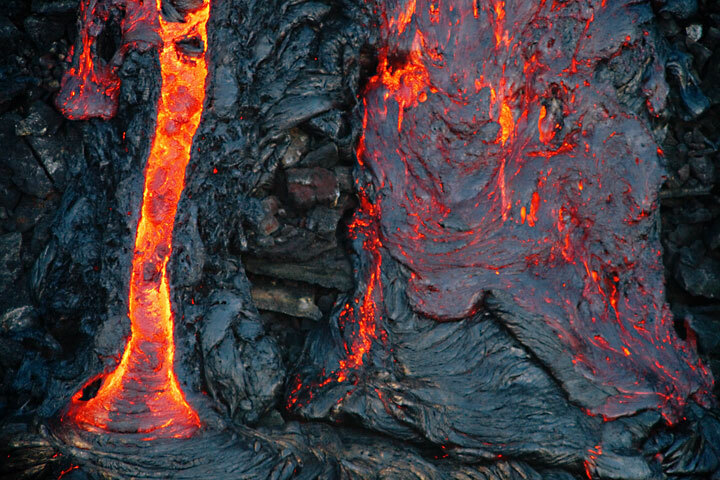 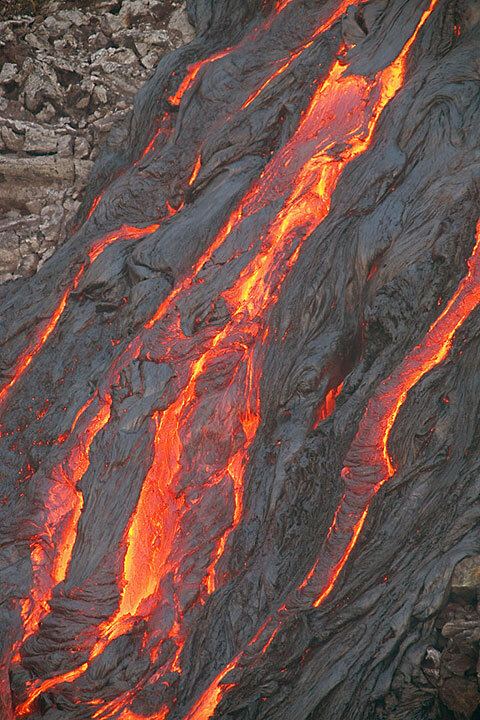 The lava flows run into the floor of the pit. 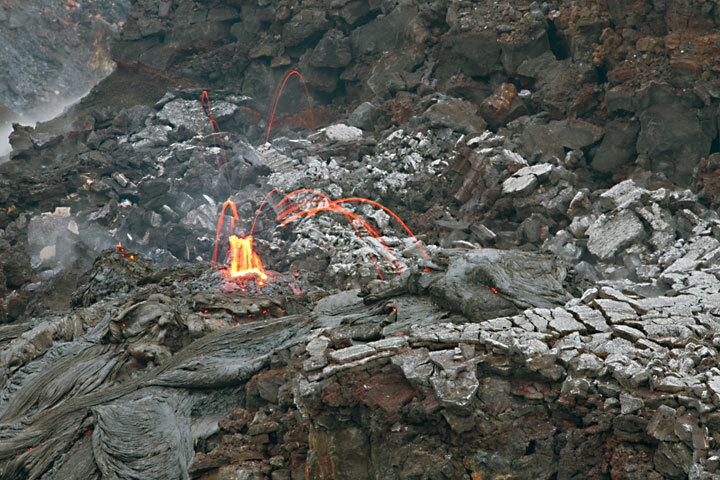 Bubbling fountain at the uppermost vent,- surprisingly the most active along the dike. 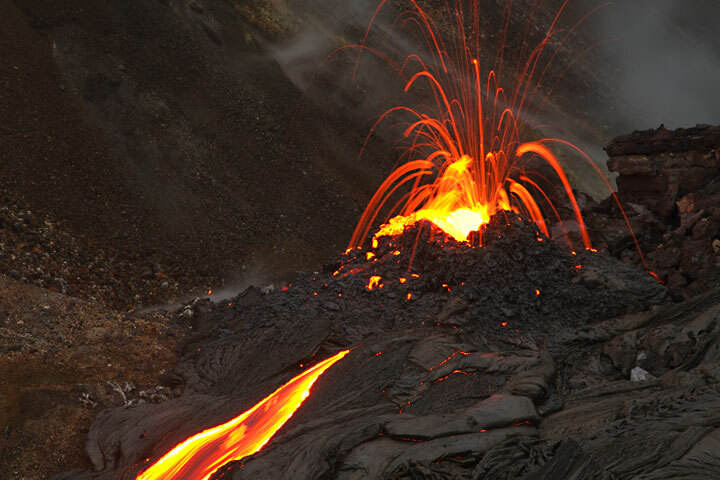 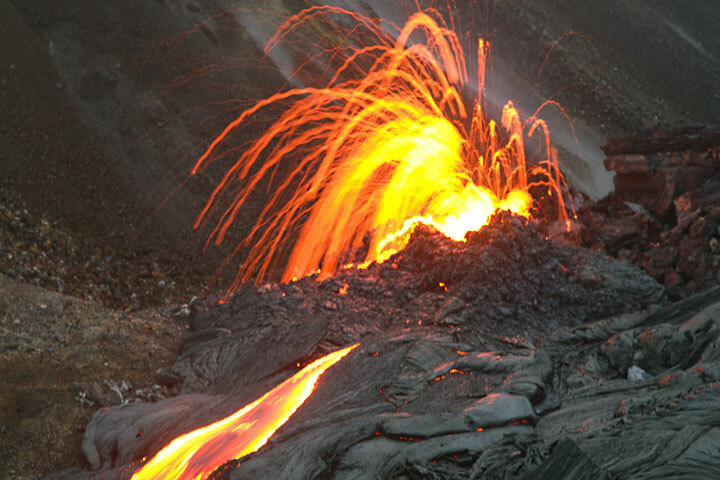 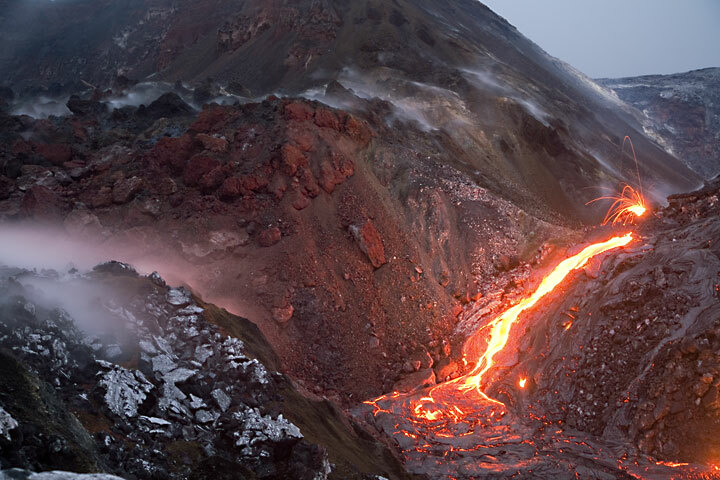 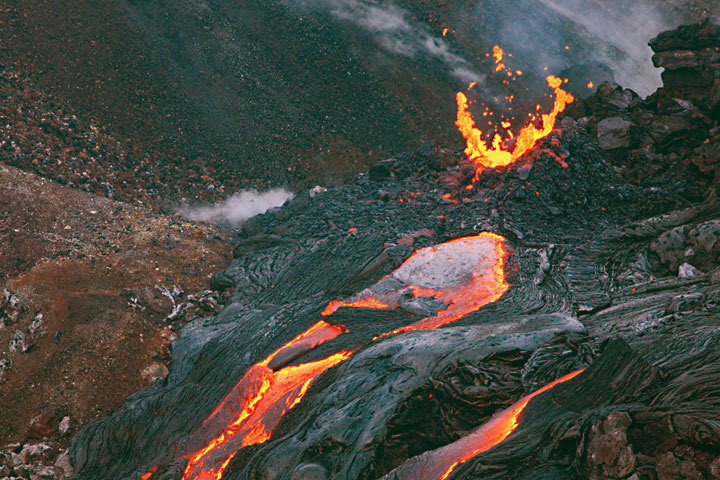 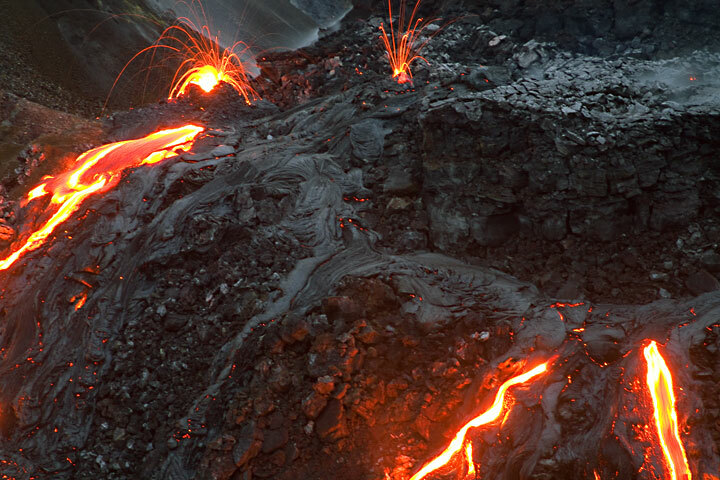 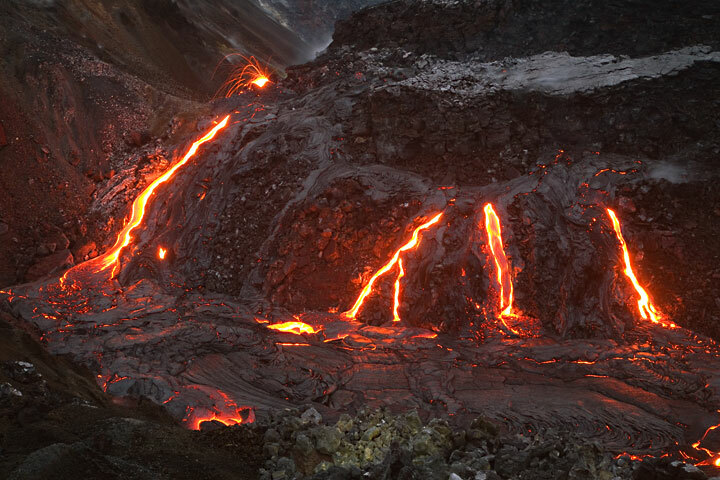 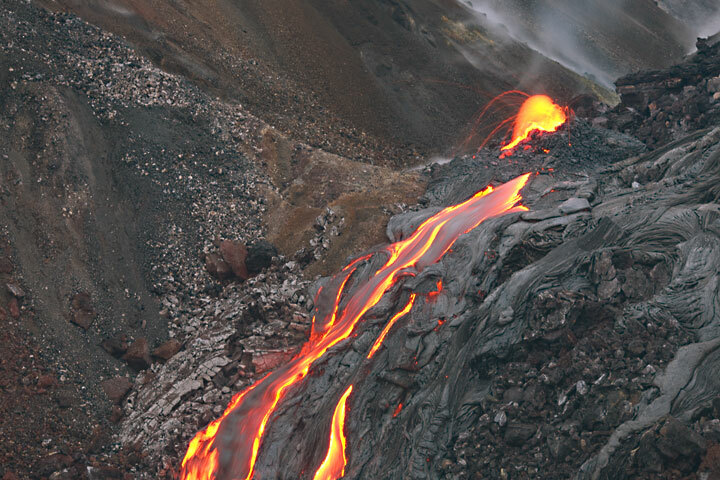 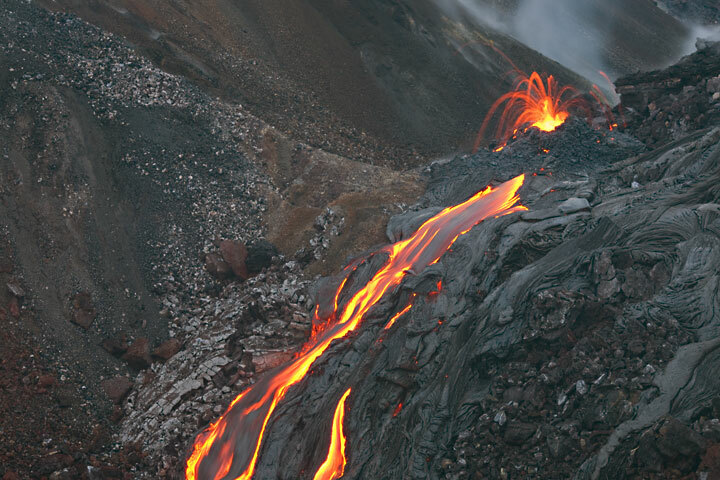 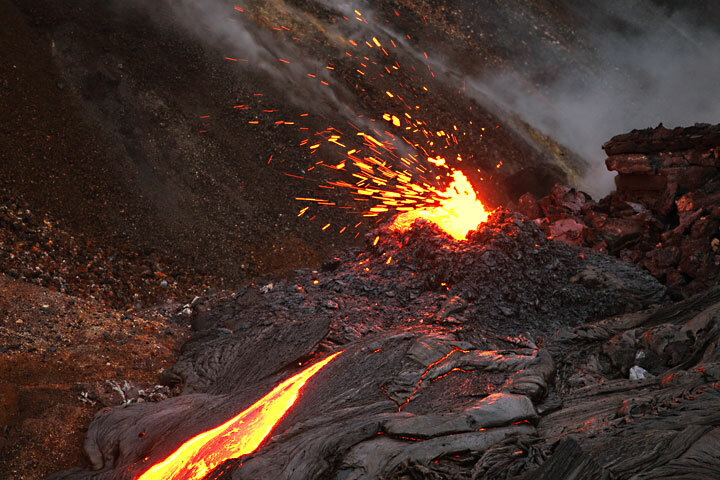 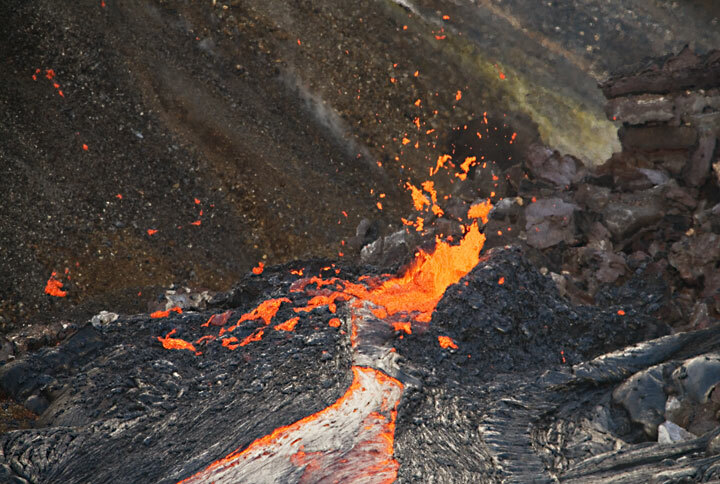 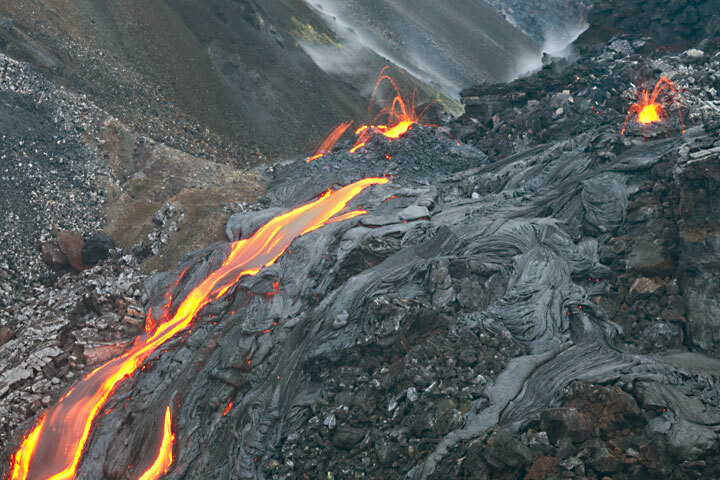 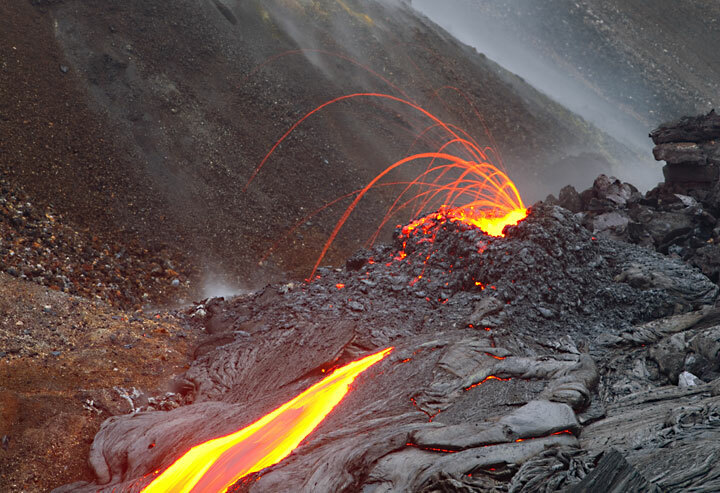 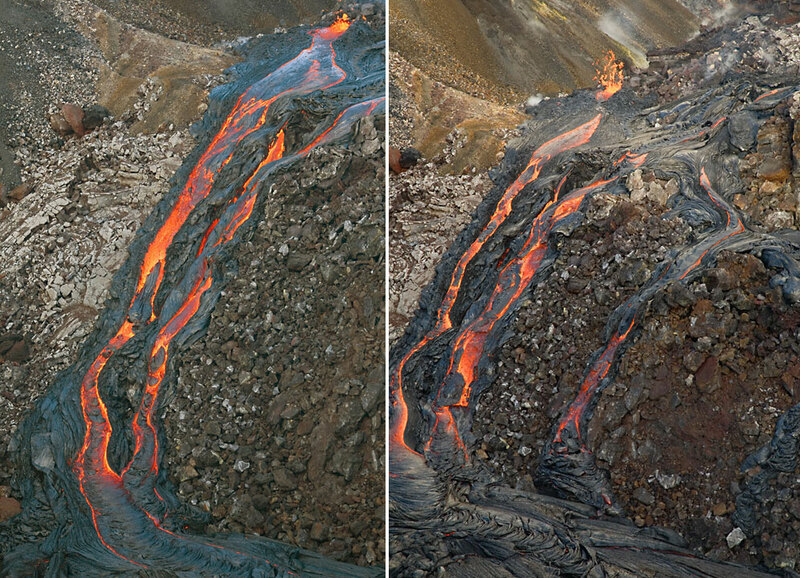 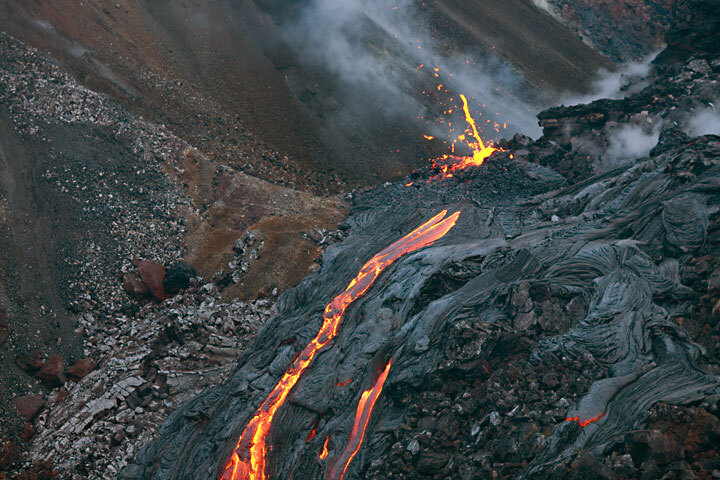 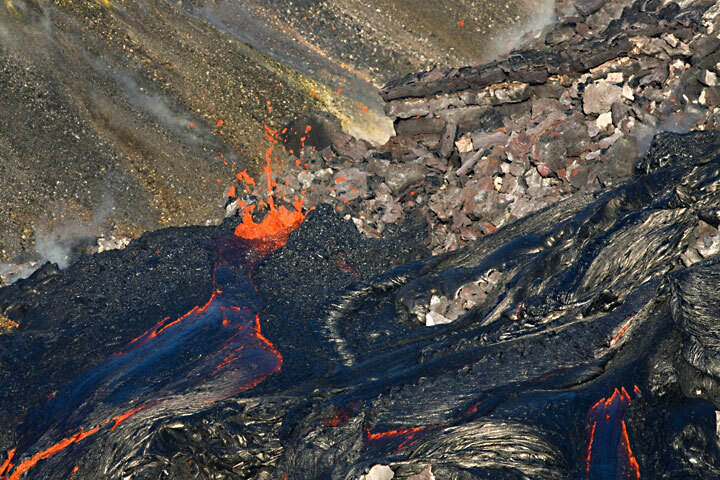 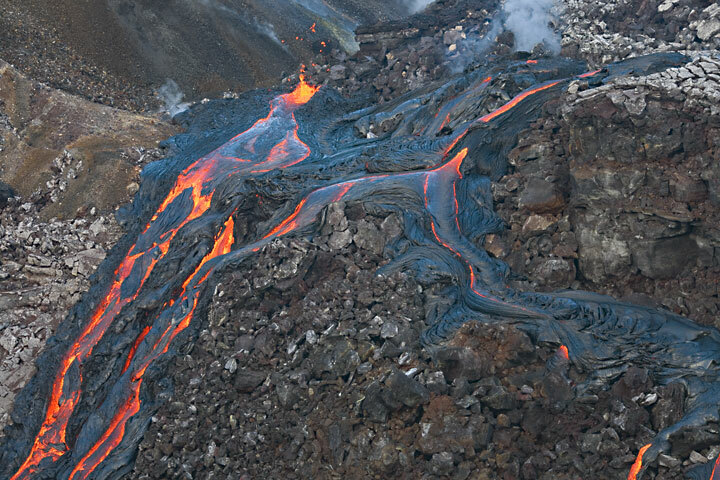 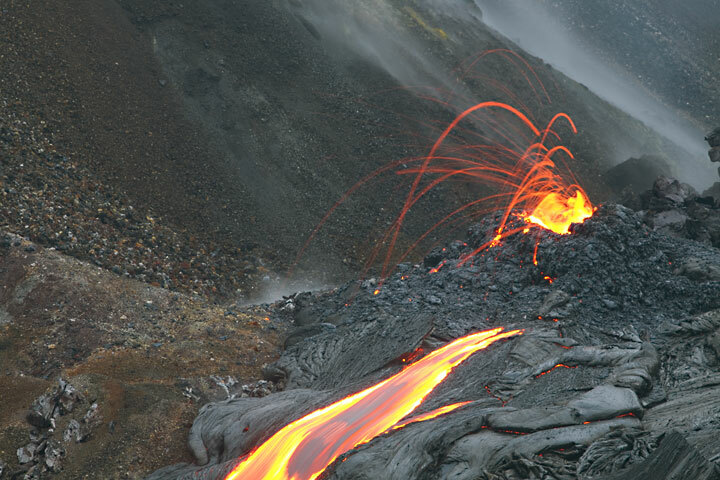 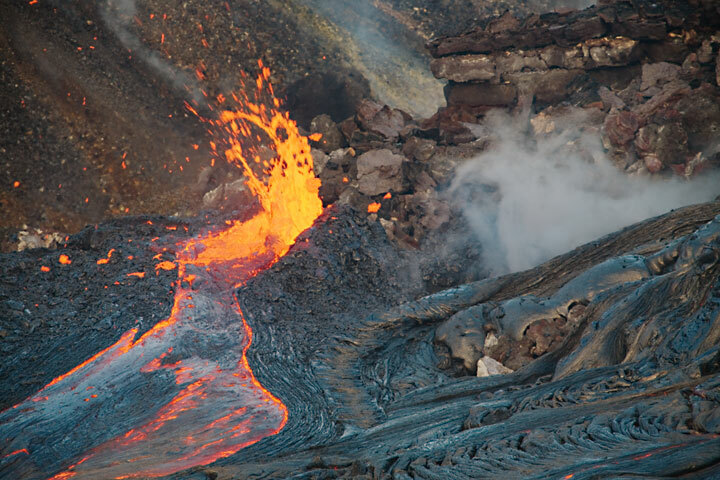 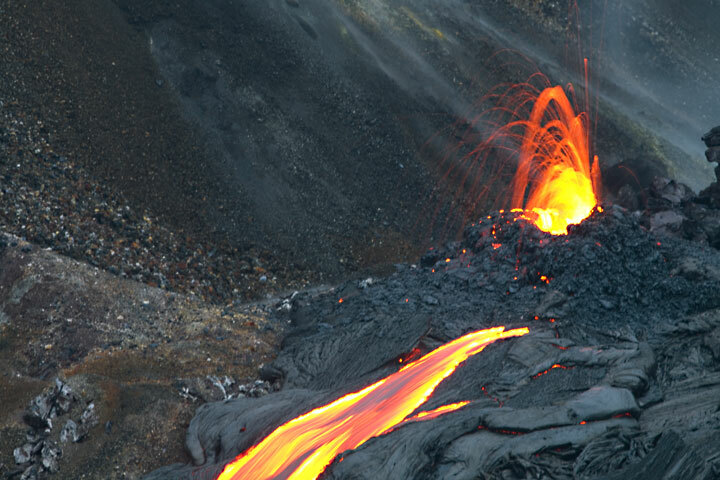 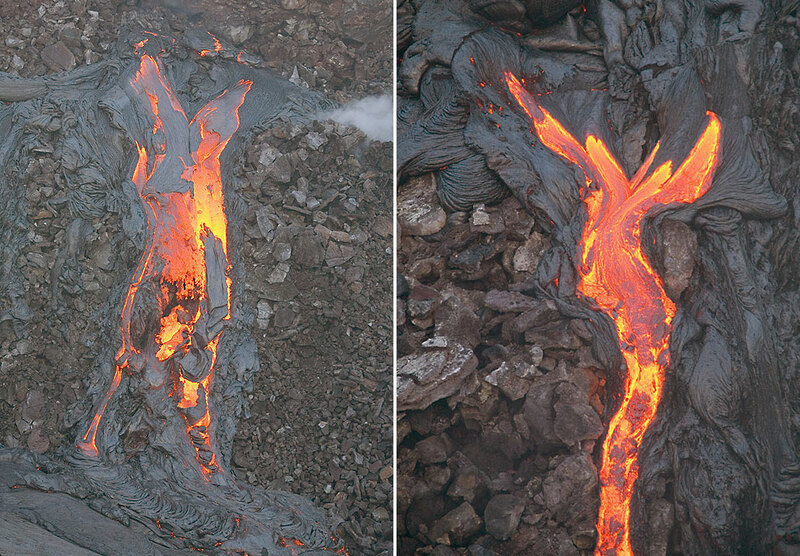 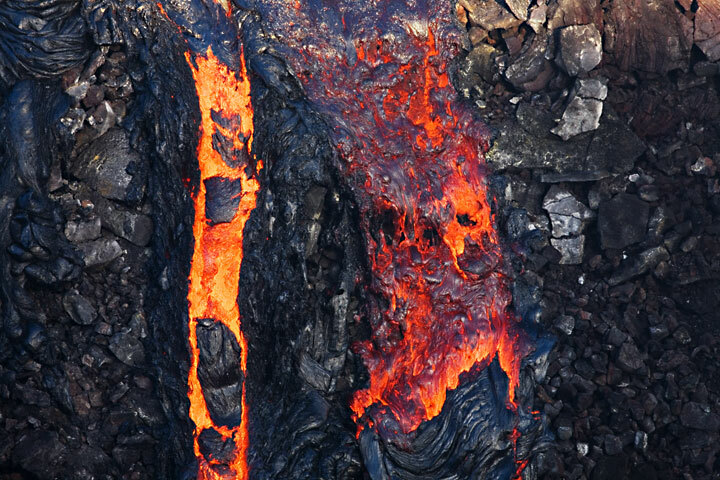 Several streams of lava are fed by the vents, and flow into the pit crater. 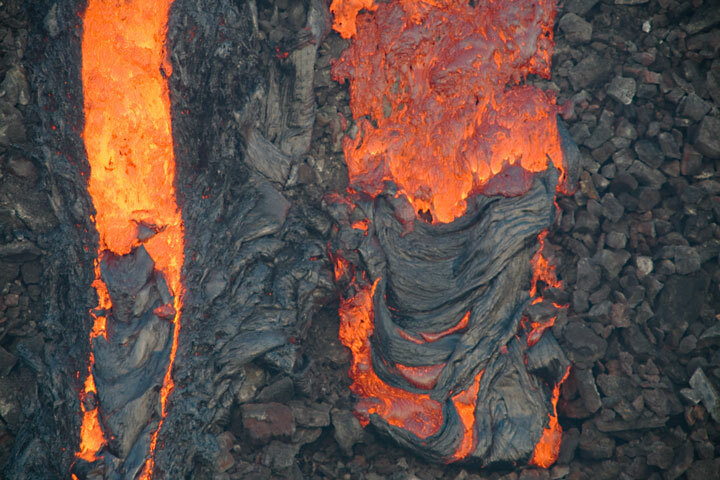 Lava making its way over the older crater wall. 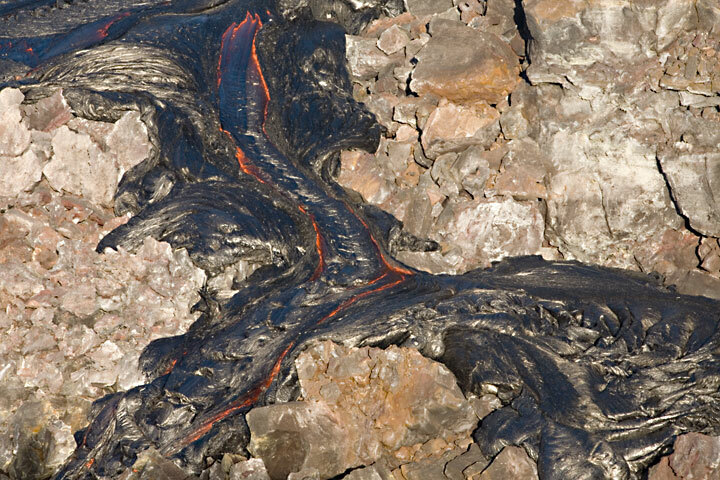 10-20 m high spattering from the uppermost vent and the corresponding lava flow. 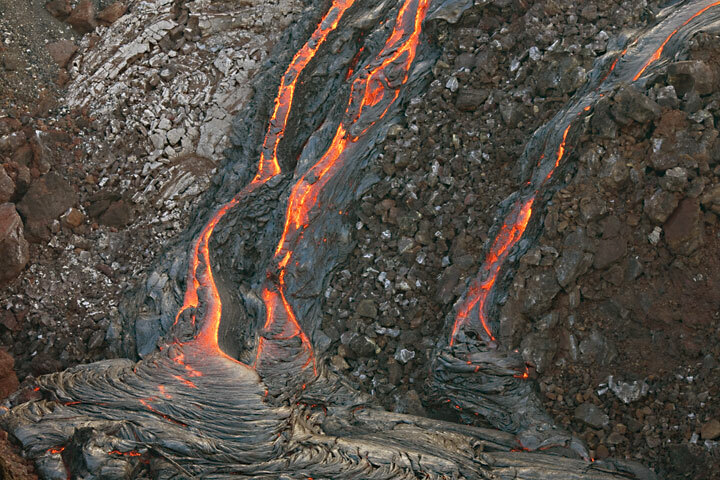 Surface flow. 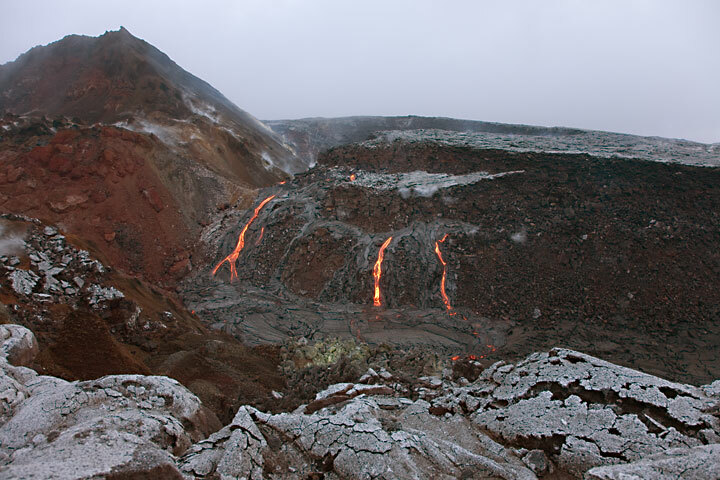 Gas and steam is blown in from the main crater to the left. 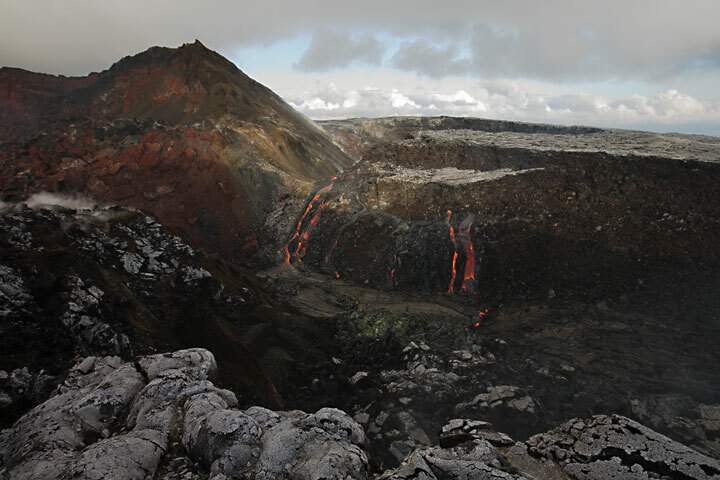 The lava flows and Puka Nui at dusk. 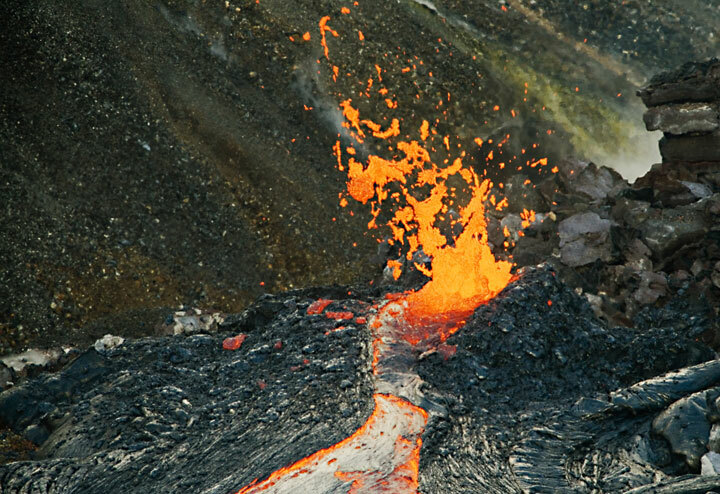 Spattering from both upper vents. 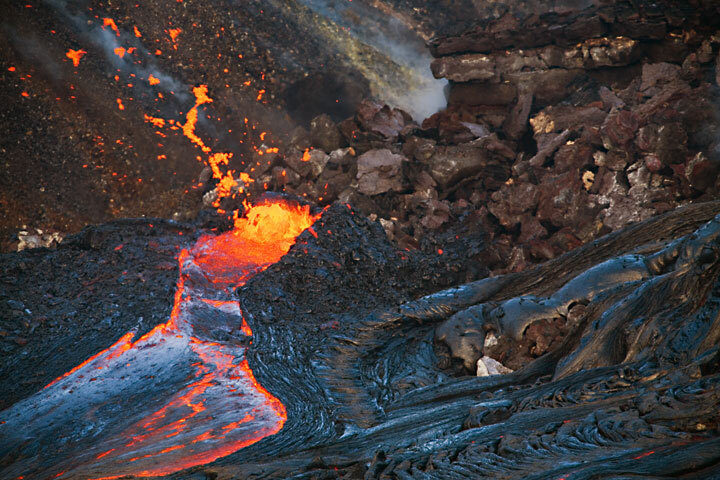 The lava flows have covered the crater floor and created a new lava pond. 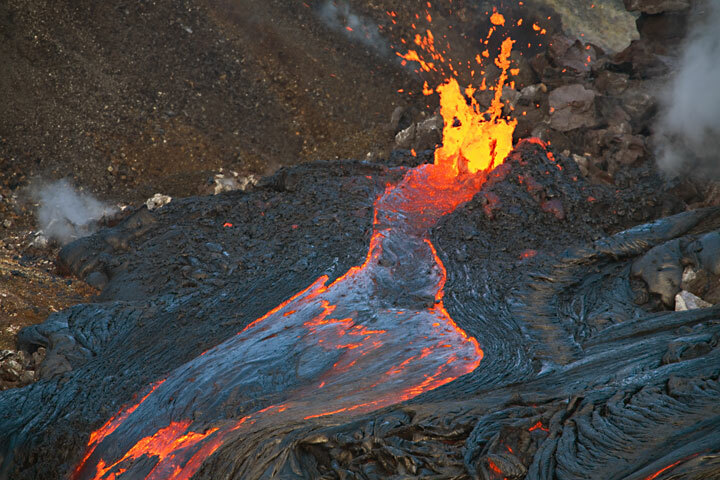 Occasionally, the second vent above the pit erupts spatter, too. 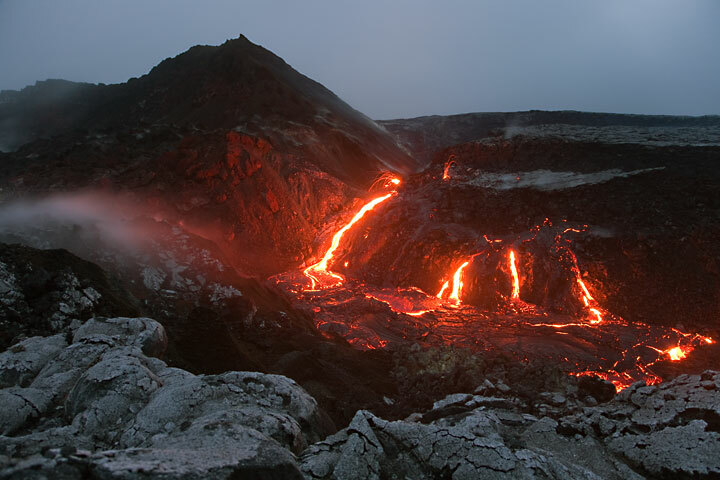 � Tom Pfeiffer, page set up on 11 November 2007.